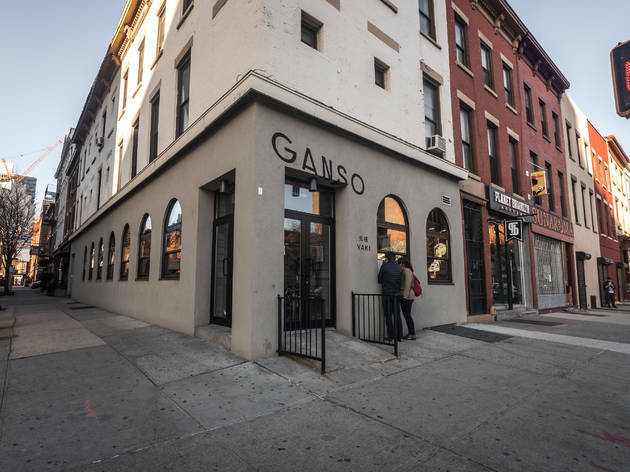 A Jackson doesn't get you far at Ganso Yaki, the yakitori sibling of Boerum Hill ramen-ya Ganso, but what you don't get in quantity, it makes up for in quality. 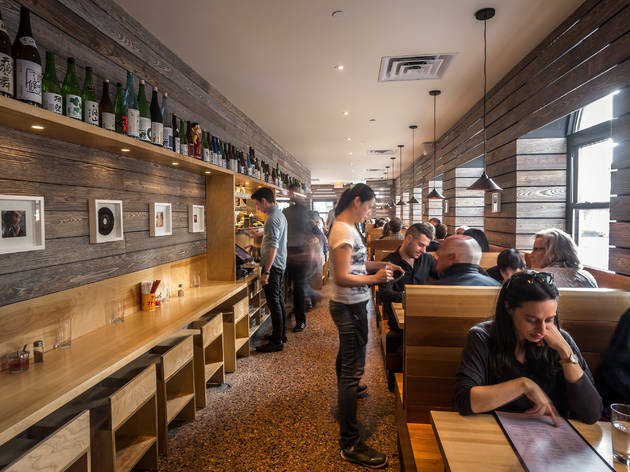 After attracting a congregation of Brooklyn noodle devotees with Ganso, Harris Salat and chef Tadashi Ono (La Caravelle, Matsuri) expand with a yakitori offshoot a few blocks down from their ramen-ya. 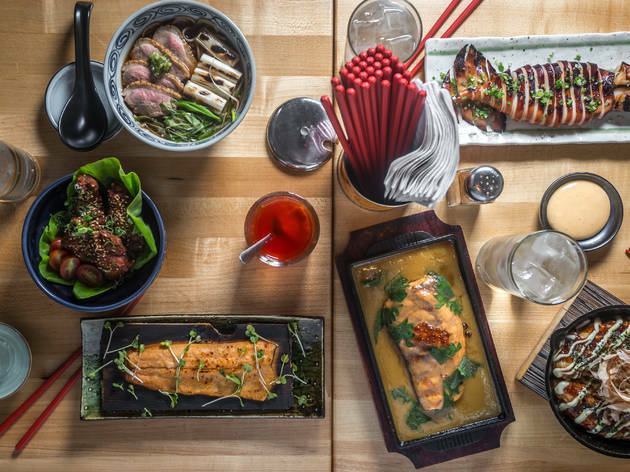 Sharply focused on Japanese street food, the duo zooms in on shareable plates from the grill. 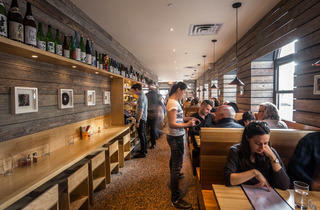 "Most of what you see in New York is serene, very refined and serious Japanese cooking," Salat says. 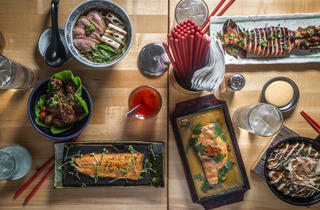 "But we want to emulate the fun and lively food-world vibe we've seen and experienced in Japan." 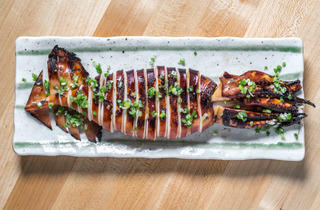 Tadashi taps recipes from his upbringing in Shitamachi, Japan, including soulful dishes like miso-cured steak, hatcho-miso–glazed chicken wings and pork shumai. 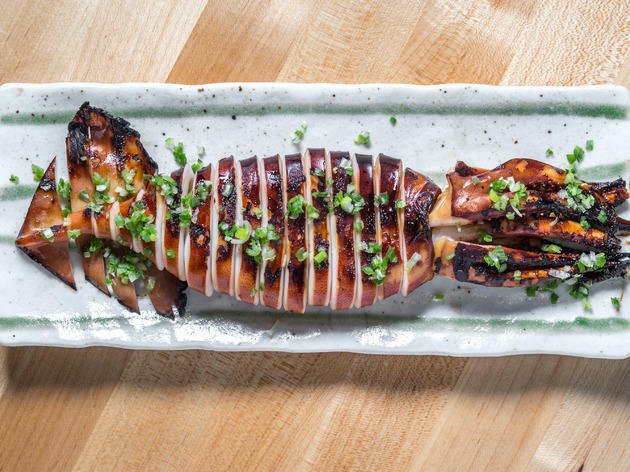 From the grill, he pulls skewers like negima (chicken and scallion), tsukune (chicken meatballs) and kushiyaki (duck and scallion) yakitori, and larger-format numbers like a cedar-plank–grilled trout and whole surume squid marinated in shoyu-ginger sauce. 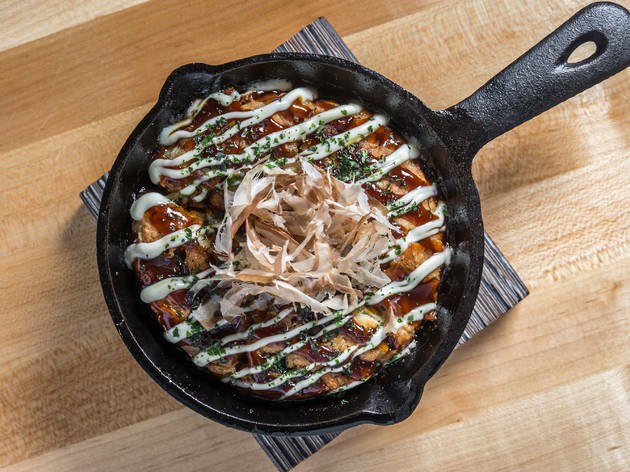 Traditional Japanese starters are given a slight bend, like a Korean-style okonomiyaki pancake crowned in kimchi, oysters and shrimp, and miso soup fortified with shiitake-mushroom broth and loaded with burdock, daikon and carrots. The 15-bottle sake list centers on two wild-yeast varieties—kimoto and yamahai—that offer bold and crisp flavors, and are sourced from generations-old family-run breweries across the island, including Tamajima from Tokyo, Oze No Yukidoke from the Tochigi wetlands and Kurosawa from the Japanese Alps. 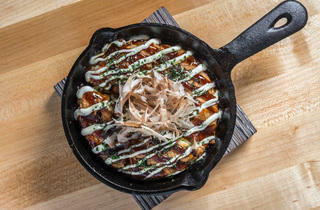 I'm a sucker for anything Japanese... or anyplace that serves okonomiyaki. 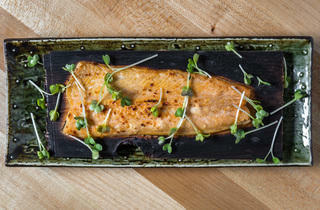 As a Queens boy, I dread the idea of going out of my own borough, but I do it for the sake of food. 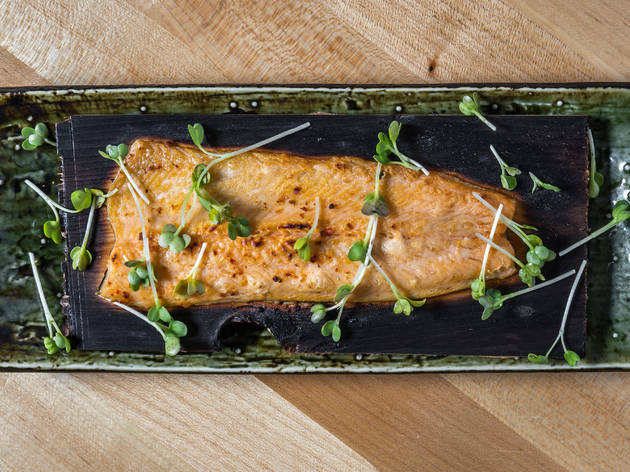 Ordered the salmon chan chan and the okonomiyaki and they tasted as good as it was described on their menu, theres nothing I would not try at Ganso Yaki. 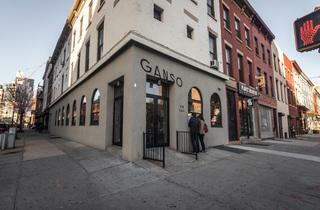 Ganso Yaki is a nice break from ramen, you want Japanese street food and you live in Brooklyn, you better high-tail it.